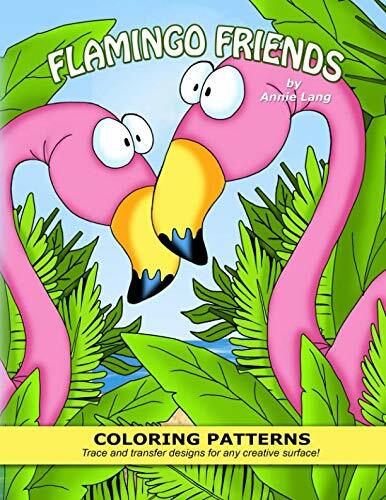 You'll truly enjoy this publication filled with a flock of friendly pink flamingos coloring patterns guaranteed to bring smiles to your day! Choose from the dozens of mix and match flamingo character images designed by Annie Lang to make every project a creative adventure. Simply trace the design and then transfer the image onto your project surface to make outstanding personalized itemswith professional results every time.